Do King Black Bolt and his loyalists succeed during the first season of Marvel’s Inhumans TV show on ABC? 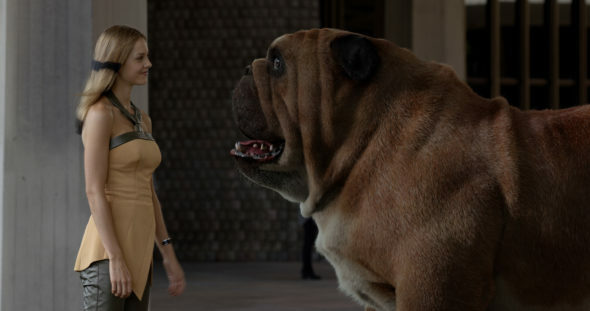 As we all know, the Nielsen ratings typically play a big role in determining whether a TV show like Marvel’s Inhumans is cancelled or renewed for season two. Unfortunately, most of us do not live in Nielsen households. Because many viewers feel frustration when their viewing habits and opinions aren’t considered, we’d like to offer you the chance to rate all the season one episodes of Marvel’s Inhumans for us here. An ABC superhero series, Marvel’s Inhumans stars Anson Mount, Iwan Rheon, Serinda Swan, Eme Ikwuakor, Isabelle Cornish, Ken Leung, Ellen Woglom, Sonya Balmores, and Mike Moh. Created by Scott Buck and based on the Marvel Comics by Stan Lee and Jack Kirby, Marvel’s Inhumans explores the Inhumans’ Royal Family. The sci-fi action drama centers on the mysterious Black Bolt (Mount), King of the Inhumans, whose voice is so powerful that even his mere whisper can wipe out a city. After a coup fractures the Royal Family, they must reunite and try to save themselves and maybe Earth, as well. What do you think? Which season one episodes of Marvel’s Inhumans TV series do you rate as wonderful, terrible, or somewhere between? Should ABC cancel or renew Marvel’s Inhumans for a second season? Don’t forget to vote, and share your thoughts, below. 5/11/18 update: ABC has cancelled Marvel’s Inhumans so there won’t be a second season. Details here. More about: Marvel's Inhumans, Marvel's Inhumans: canceled or renewed? Marvel’s Inhumans: Cancelled or Renewed for Season Two on ABC? I loved it.. I would love to see another season of Inhumans. The drama is amazing.. U guys made a believer of me.. I appreciate whole the crew for putting this up.. It was destined for my eyes, well done. Just saddened. Starting to wonder why they make new shows just to cancel them. Sad. I loved Inhumans. Please renew for a season 2. the characters were amazing and a lot a viewers would want to see a season 2 of Inhumans. I liked when they returned home and was hoping they would all return to earth but join good guys with good people and his brother and they would find the ‘ bad’ crowd and still cause problems for ruler. I loved the show and am 60 and retired and clean and watch TV. It’s one of my favorite channels and has all the good shows like Inhumans. I enjoyed this show and the characters. I think this series should be explored for another season.